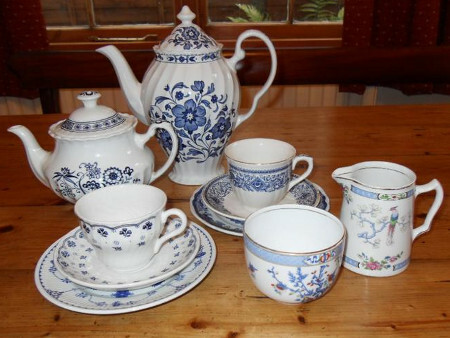 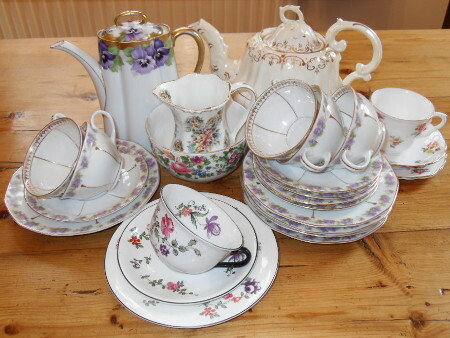 If we are providing you with afternoon tea it will include our beautiful vintage crockery. 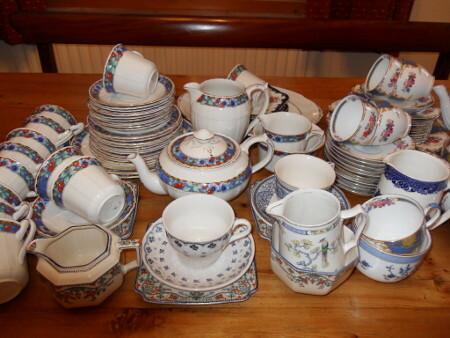 This includes delivery, setting up, collection and washing up. 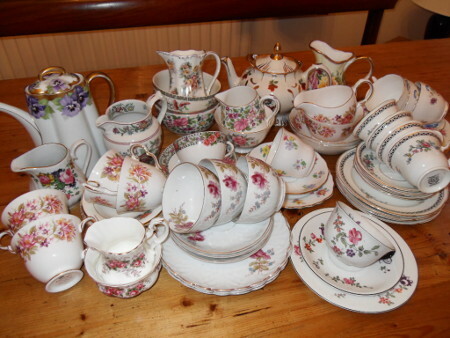 If you wish to hire our vintage crockery to go with your own catering there is a charge of £3.50 per head with a minimum order of 20 people. 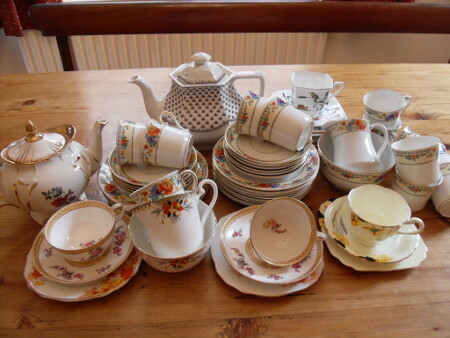 This includes delivery, collection and washing up. 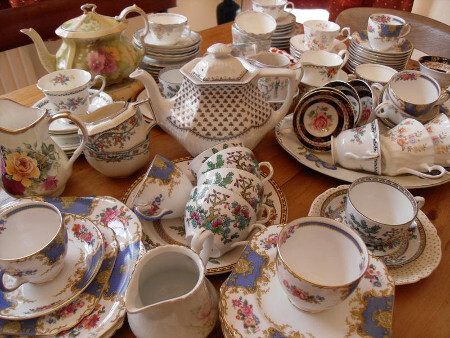 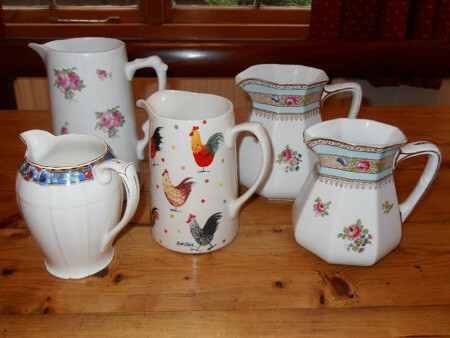 There is a charge of £5.00 per item for any breakages or missing items, except for teapots, coffee pots and cake stands for which there is a charge of £20.00 per item for breakages. 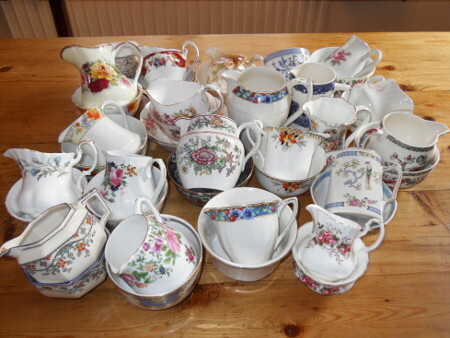 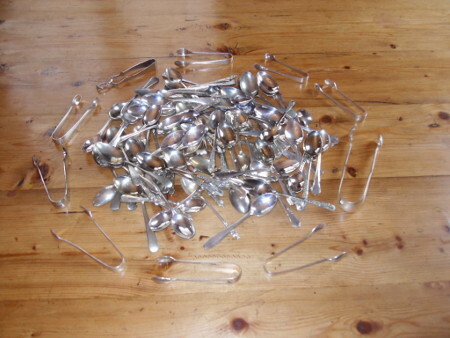 Vintage crockery hire is suitable for afternoon teas and consists of cups, saucers, small plates, sugar bowls, tea pots, coffee pots, large cake or sandwich plates, cake stands, silver teaspoons, silver sugar tongs, silver cake forks and silver cake slices. 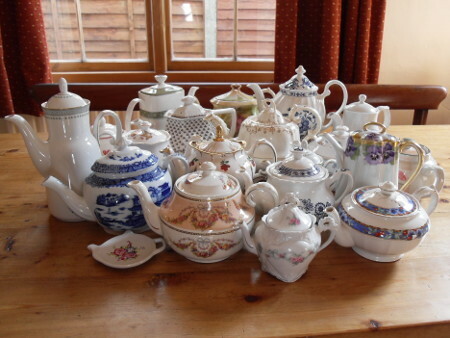 A water boiler will also be provided if required. All prices are VAT free. 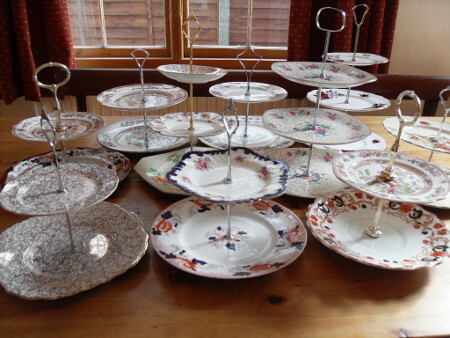 Note: To keep things as simple as possible, we charge per head for our crockery hire. 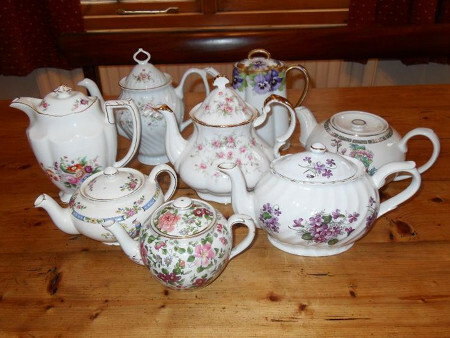 This means that there are no hidden charges, so if you need a couple of extra teapots or more cake stands, we won't charge you any extra. 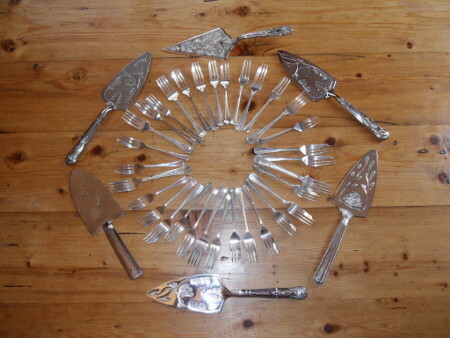 It's simply £3.50 per head to hire if you are using your own caterer. 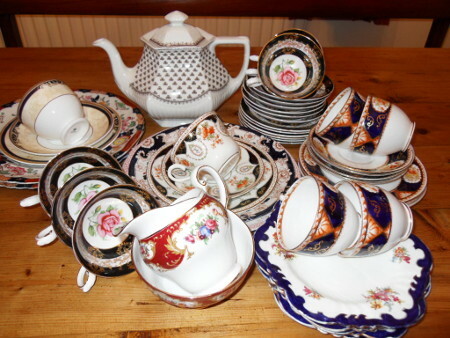 Please note that this is just a selection of our crockery as it is not practical to display everything on this page.